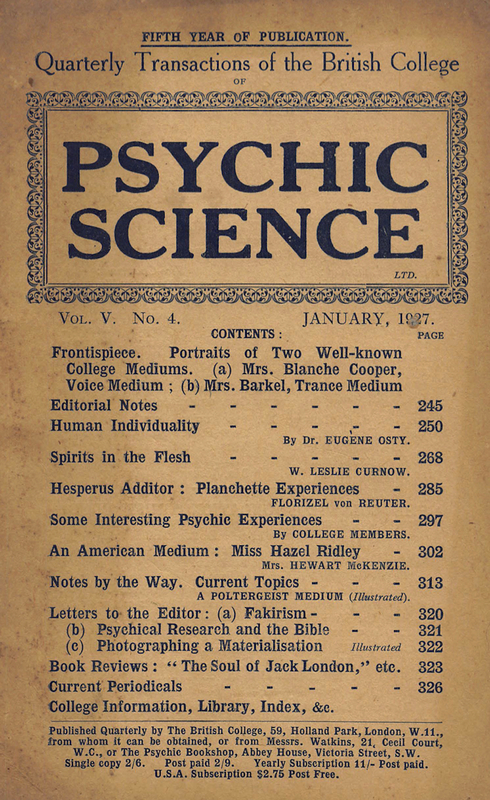 College Quarterly Transactions of the British College of Psychic Science / The Journal of the International Institute for Psychic Investigations. London, England. Publisher: Simpkin, Marshall, Hamilton, Kent & Company, Ltd. / The College (British College of Psychic Science) / The Institute (International Institute for Psychic Investigation), 1939-1945. Editor: Frederick Bligh Bond; Stanley de Brath. 11s./$2.75 a year, 80-164 pp. (varies).